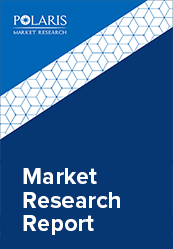 The global caprolactam market was valued at USD 18.6 billion and is estimated to grow at a CAGR of 4.8% from 2018 to 2026. Caprolactam is a feedstock for the production of nylon products. It is widely used in the manufacturing of nylon fibers and resins on account of its excellent characteristics such as elasticity, abrasion resistance, high strength, low moisture absorbency, and chemical & oil resistance. Caprolactam includes some very significant market drivers concerning the rising demand from the end-use industries. Among many end-uses, rapid growth of automotive and textile industry are the major driving forces for the growth of global caprolactam market. In the textile industry, caprolactam is used for the production of nylon 6 fiber, which has witnessed increased demand in sportswear, swimwear, apparels, and fashion wear. Textile industry has witnessed growth trends on account of significant long-term potential for demand as consumption of clothing in developing nations is expected to constitute larger share of household trends. Moreover, entrance of new players such as Amazon’s prime wardrobes and other new-direct-to consumer brands in tandem with the global rebound in the luxury goods segment after a plateau period have significantly contributed to the growth of textile industry and the related feedstock markets such as caprolactam. Automotive industry is another major end-use for the caprolactam market and has substantially supported the market growth. In automotive industry, caprolactam is applied in the production of nylon 6 fibers that are increasingly used for engine covers, tire cord manufacture, and gears & bearings due to their superior fatigue resistance, tensile strength, and durability. Nylon 6 fibres are a dominant application segment for the caprolactam market and constitute over 50% of the overall market share. The second largest application segment is nylon 6 resins, with over 25% of the share, where the remainder constitutes of the trade in polymer chips. Nylon 6 resins are used for the manufacturing of engineered resins for further producing thermoplastic compounded products, OEM parts production, and electrical & electronics components. On the basis of end-use industries, the global caprolactam market is segmented in textile, automotive, electrical & electronics, films & coatings, flexible packaging, and coextruded products. Textile and automotive industry are the two most popular and lucrative end-use industries for the caprolactam market. Asia Pacific is the largest and the fastest regional market for the caprolactam industry. China, Japan, Southeast Asia, and South Korea are the significant contributing nations towards the growth of this regional market. China is the largest consumer of caprolactam, where in 2016 its consumption eclipsed the demand of all other Asian countries. Taiwan is the third largest country for caprolactam consumption after China and Western Europe, however, is anticipated to witness a decline over the forecast period that may impact the overall regional growth. China has excess capacity for caprolactam that is anticipated to drive down the global operating rate for caprolactam. However, the prices of caprolactam witnessed high increase in early 2017 due to shutting down of capacities in North America and Europe. Western Europe and North America are the mature markets for caprolactam market but the additional capacities from China has forced many market players to shut down their capacities in the respective regions. This gradual shift towards APAC is a result of speedy development in electronics, plastic, and automobile manufacturing in the Asian countries. The global caprolactam market comprises of numerous multinational companies. The industry is highly competitive coupled with the high degree of integration across the raw material, manufacturing, and distribution stage.